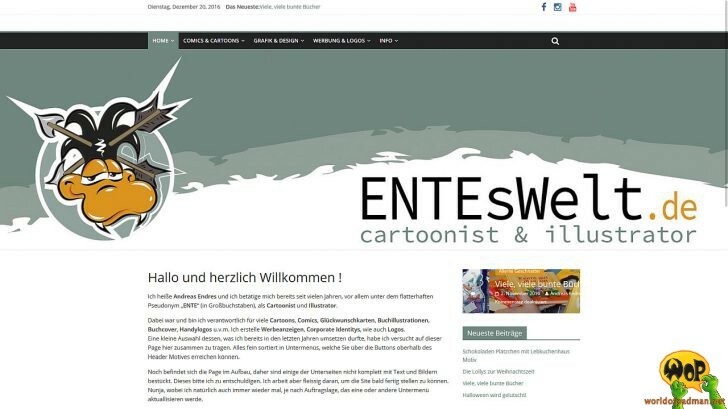 It must be a couple of weeks since ENTE released his website in a complete new design, because the first news item was already made on October 25th in 2016. In any case we are happy that there is new stuff going on at ENTEsWelt and that ENTE presents himself as cartoonist and illustrator in a new way. It is very interesting where you can find all of his works by now and it’s not just about comic strips and books. 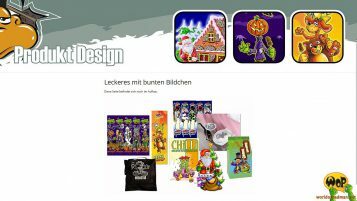 Certainly some of you may have already been in touch with some of his designed sweets, especially around Christmas. In some areas his website is still work in progress but we are keeping our fingers crossed, that there will be new entries very soon.